Exclusive clip, spoilers, and preview images for the iZombie episode "Dirt Nap Time"
Here’s how The CW describes the episode; some photos follow below. SHENAE GRIMES (“90210”) GUEST STARS – When Liv (Rose McIver) and Clive (Malcolm Goodwin) work together to solve the murder of a very charming, but womanizing, preschool teacher, things get interesting when they bring his jealous girlfriend Piper (guest star Shenae Grimes) in for questioning. Meanwhile, Peyton (Aly Michalka) is assigned a very interesting case. Lastly, Blaine (David Anders) finds himself in a bad situation. Rahul Kohli also stars. Michael Fields directed the episode written by Deirdre Mangan (#307). Original airdate 5/16/2017. 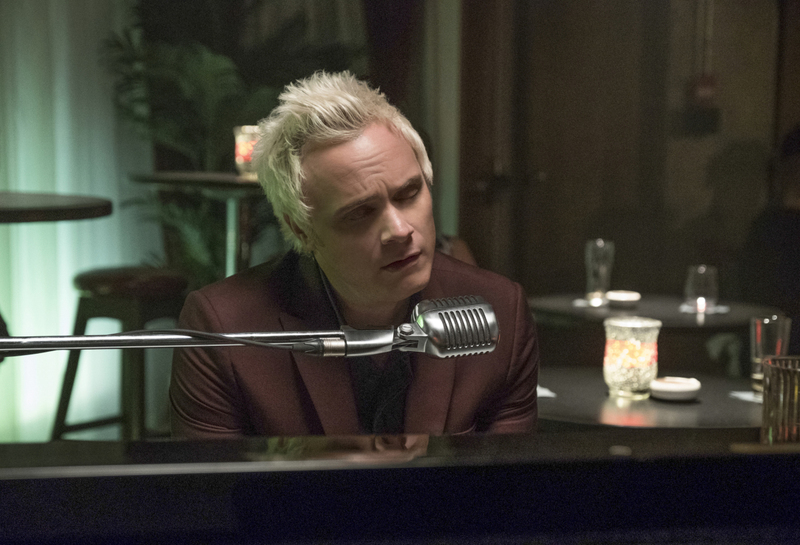 iZombie -- "Dirt Nap Time" -- Image Number: ZMB307a_0070.jpg -- Pictured: David Anders as Blaine -- Photo: Eric Milner/The CW -- ÃÂ© 2017 The CW Network, LLC. All Rights Reserved.